OLD PARKED CARS. 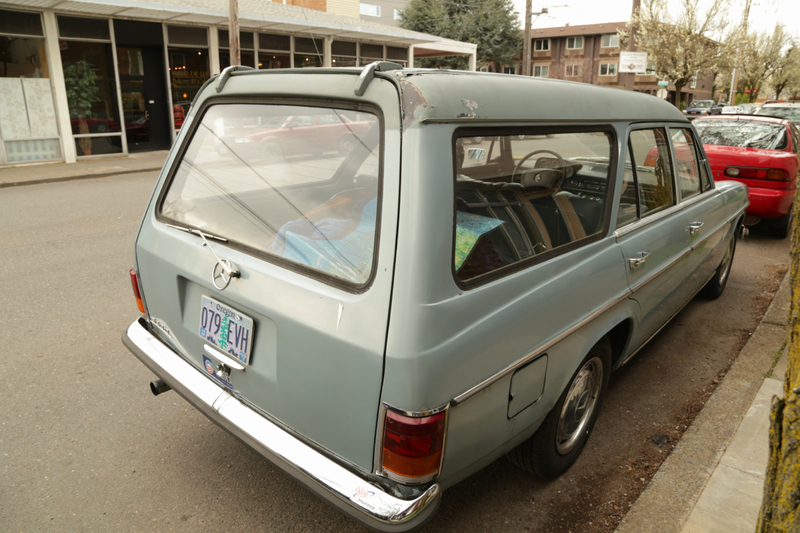 : Best-of Revisited: 1972 Mercedes-Benz 220D Estate. 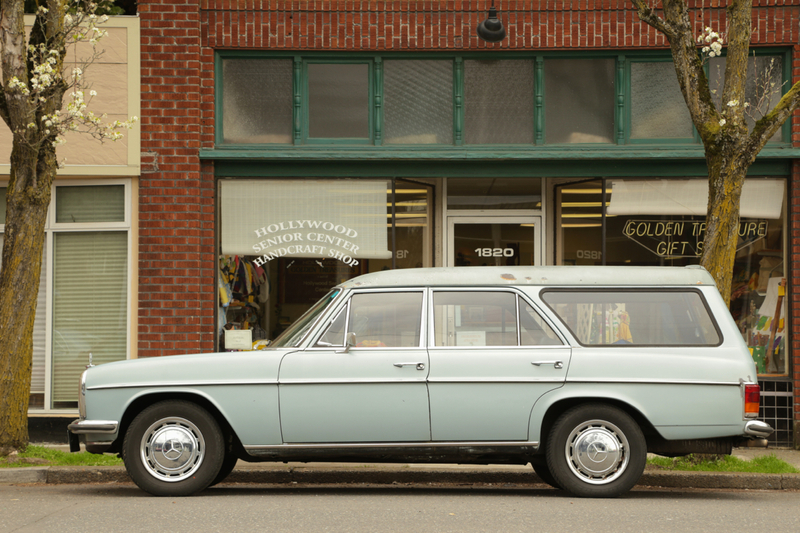 Best-of Revisited: 1972 Mercedes-Benz 220D Estate. We picked this as one of our favorite cars of the year when Ben photographed it in 2010. Since then I've passed by it many times, always parked in the same residential spot. So I was particularly pleased to cross paths with the car out running errands in the wider world. Wow, I never realized how rare these early ones are. I guess I just lumped them in with the common later ones. Love the profile--the juxtaposition of the curvy c(?) pillar with the squared off rear end is interesting. Wow, I've never seen one! We're these imported into the US or is this a gray market? 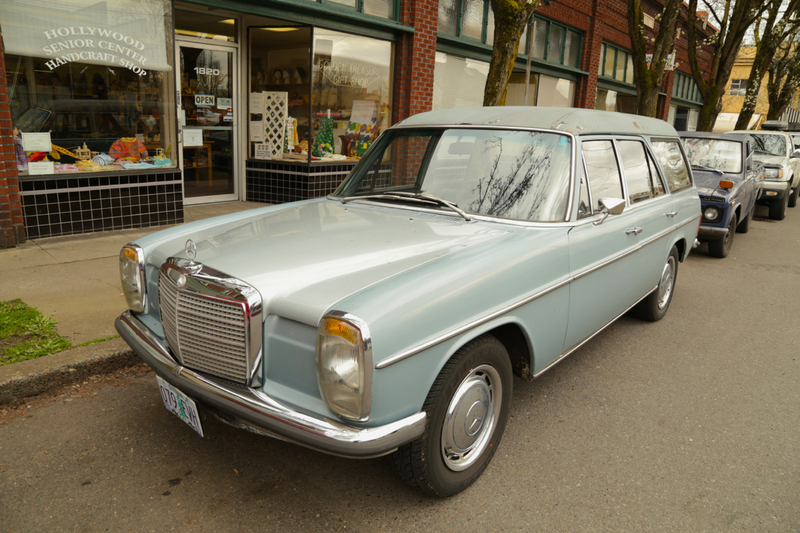 The follow-up model was the first Mercedes that had a wagon in the regular model range. This must have been something specific back in the days, maybe a hearse or an ambulance. with them. Wouldn't mind owning one. First I was going to disagree with you as it very much looks like the ambulances we had here in North, but height doesn't match and rear side window is totally different from those (small series production) ambulances and/or hearses. Very interesting find as it doesn't match to anything I can find with google images. It looks more like a home-made version as the rear side window really doesn't match to the rest of the car, professionals usually won't leave it looking like that.